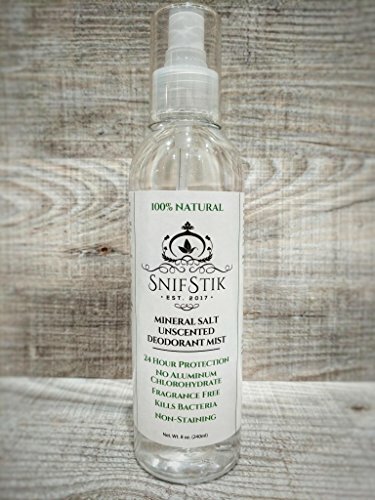 SnifStik unscented deodorant spray mist is made from only natural minerals salts and purified water. It is guaranteed to be free of synthetic oils, alcohol, emulsifiers, solvents, synthetic perfumes, propellants, and aluminum metal chemicals. It's simply a pure natural deodorant spray that we know you'll love and enjoy! If you have any questions about this product by SnifStik, contact us by completing and submitting the form below. If you are looking for a specif part number, please include it with your message.